You’re probably aware that asbestos containing materials (ACMs) were banned from being used in the UK back in 1999. What if you have a property built pre-2000 though? What are ACMs, where are they commonly found and what problems can they cause? 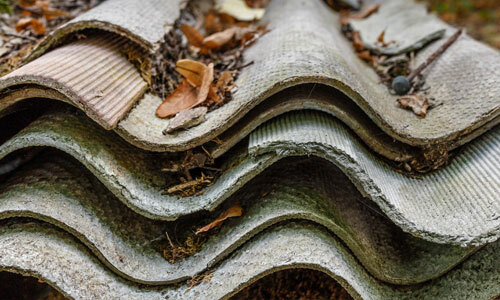 This article aims to give you a good overview of some of the most common types of asbestos containing materials to help you identify the correct course of action if you think ACMs are present. These are some of the most common types of ACMs around. They include tiled roofs, corrugated roofs, guttering, down pipes, water tanks, cement water pipes, flue cowls, soffit boards, wall cladding and many other commonplace items you’ll find on most premises. Thanks to its excellent fire resistance, sheets used for fire insulation, partition walls, ceiling tiles and hatches are all things that can contain asbestos. Commonly used for insulating pipes, boilers and also other items such as floor underlay, asbestos was a popular choice through the years for products that benefit from high levels of insulation. There are many products used for decorative purposes that could be ACMs. Items such as floor tiles, floor lino, radiator covers and toilet cisterns could all contain asbestos. The major common decorative use of asbestos though is in wall and ceiling artex. Artex finishes should definitely be checked if your property was built in, or before, 1999 as it’s a very common ACM. What Problems Can ACMs Cause? The main issues ACMs can cause are health related. Inhalation of asbestos can cause severe diseases such as lung cancer, mesothelioma (which is a cancer of the linings of the lungs or lower digestive tract) and asbestosis (which is a chronic fibrosis of the lungs). The severity of the illnesses asbestos can cause was a key factor in the banning of its use in materials. If They’re Dangerous, Why Were ACMs Ever Used? 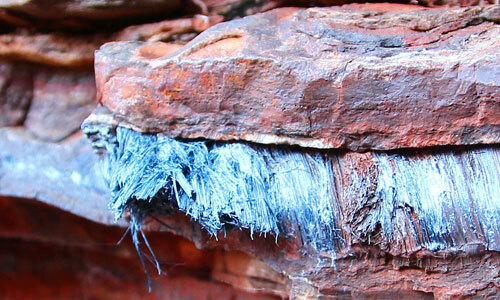 Asbestos comes from natural sources; indeed, in countries where it isn’t banned it’s still mined today. The main reason for its use was because the various forms of asbestos all have high tensile strength and fantastic chemical, heat and electrical resistance. These, amongst other things, made the material particularly popular with construction and insulation materials. The Health & Safety Executive (HSE) has a specific set of guidelines to help businesses remain compliant with asbestos legislation. To comply with the ‘Control Of Asbestos Regulations 2012’ it’s the building owner or the designated person in charge of the premises responsibility to identify and manage the risk of any ACMs present. There were so many products and items produced that contained asbestos. Non-asbestos containing alternatives can look virtually identical so it can be very tricky to know whether asbestos is present or not. If you have concerns that ACMs might be present in your building, you can find out whether you need an asbestos survey, understand the different types of surveys available and learn more about asbestos management plans by clicking here.